Keeping the Nuclear Arms Control alive - Integration Through Media ....! What is the state of nuclear disarmament today? Following lines are giving a comprehensive overview of the efforts in the post-Cold period. For almost eight years we have been witnessing a decline (or even absence) of Russian and U.S. efforts in the sphere of nuclear arms control, which can be seen at both the official and expert levels. The last achievement in this field was the Treaty on Measures for the Further Reduction and Limitation of Strategic Offensive Arms (New Start Treaty) which was signed by Russia and the United States in 2010 and entered into force in February 2011. Since then, issues pertaining to further steps in nuclear disarmament have disappeared from the agenda of Russian-American relations. In the past, such pauses were filled with active consultations and were used to rethink one’s own policy in this area and comprehensively assess the other party’s position. Preparatory work continued even in the period between the fall of 1983 (when the Soviet Union withdrew from all nuclear arms negotiations with the United States) and the spring of 1985 (when the negotiations were resumed), while informal contacts between the parties (primarily through scientific communities) became much stronger. Over a period of fifty years, the United States and the Soviet Union/Russia achieved significant progress in curbing the nuclear arms race and gradually and steadily lowering the level of nuclear confrontation between the two major nuclear powers. In the Soviet Union/Russia, the greatest achievements in nuclear arms control were made during the rule of Leonid Brezhnev and Mikhail Gorbachev. Vladimir Putin played an important role in the ratification of the START II Treaty (2000) during his first term as president, as he convinced legislators of its effectiveness and usefulness for Russia’s security interests, and in the conclusion of the Russian-American Strategic Offensive Reductions Treaty (2002). Dmitry Medvedev earned a place for himself in the history of nuclear disarmament by signing the aforementioned 2010 Treaty. It was only during the brief rule of Yuri Andropov (from November 1982 to February 1984) and Konstantin Chernenko (from February 1984 to March 1985) that there was no tangible progress in nuclear arms control. In the United States, all the eight presidents that preceded Donald Trump—from Richard Nixon to Barack Obama—had achievements in this field. It is still an open question whether Trump will want to break with this tradition. In any case, there are several arguments both in favor of and against such a possibility. It should be emphasized that not everything depends on the desire or unwillingness of the U.S. administration to conclude new agreements in this area. Russia’s position has an equal role to play, and this position does not inspire much optimism at the present time. Politicians and experts name many reasons for the breach of Russia-U.S. relations in the field of nuclear arms control. One of them is believed to be the deterioration of Russia-West relations over the Ukraine crisis. But facts show that the problem arose much earlier. In March 2013 (that is, one year before the events in Ukraine), former chief of the presidential administration of Russia Sergei Ivanov openly said that Russia was not interested in further reductions in armaments and named the reason for that: the completion of the modernization of Russia’s strategic nuclear forces and its unwillingness to eliminate new strategic weapons that had only recently entered service. Another argument, named by President Putin in February 2012, is the need to involve third nuclear powers in the nuclear disarmament process after the 2010 treaty. Further explanations provided by some other officials, including Foreign Minister Sergei Lavrov, claimed that deeper reductions (outside the treaty’s framework) would make the strategic offensive weapons of Russia and the U.S. “comparable” with those of third nuclear powers. Moscow puts the main blame for the failure to achieve new nuclear arms control agreements with the U.S. on the missile defense problem. This problem arose now and then in Soviet times and came to a head in 1983 when President Reagan proposed the Strategic Defense Initiative (SDI). The SDI slowed down START I negotiations and nearly blocked the conclusion of this and other nuclear disarmament agreements. The United States’ withdrawal from the open-ended ABM Treaty in 2002 and its subsequent efforts to create and deploy missile defense in its own territory and territories of its allies, coupled with unsuccessful attempts to reach agreement with Russia on joint missile defense programs, exacerbated the situation still further. Moscow also explains the lack of progress in strategic nuclear arms reductions by the possession of nuclear weapons by Washington’s NATO allies. Anatoly Antonov, who at that time was Russian deputy defense minister, said this factor “cannot be ignored.” Other factors that Moscow says should be “taken into account” include the “Global Strike” concept, the deployment of strategic precision-guided conventional weapons, plans to deploy weapons in outer space, the presence of U.S. non-strategic nuclear weapons in Europe, and some other disproportions, many of which are mentioned in Russia’s present National Security Strategy, approved by Putin in late 2015. Russia’s position on further steps towards nuclear disarmament resembles that of the Soviet Union in the late 1960s. It is based on the principle of “equal security,” which means that all factors determining the balance of power between the opposing sides should be taken into account. This explains why in negotiations with Washington on strategic nuclear weapons, the Soviet Union considered it justified to demand compensation for imbalances in other categories of arms. Naturally, fifty years ago, the categories of weapons subject to “compensation” were different from those of today. They did not include conventional weapons of any kind. Moscow was concerned about nuclear weapons possessed by the U.S.’s NATO allies, and U.S. forward-deployed nuclear weapons in Europe. Now Russia has taken a broader approach, focusing more on non-nuclear armaments, which creates additional difficulties in the search for mutual understanding with the United States and which calls into question the possibility of concluding new agreements. If we recognize that Russia’s concern over the effect of missile defense and precision-guided and other conventional weapons on the strategic balance is of a fundamental nature, a natural question arises: How to accommodate this concern if a political decision is made to continue the nuclear disarmament process? And should Russia agree to deeper reductions in nuclear weapons if its concern is ignored? Needless to say, no agreement on strategic offensive arms can set unequal ceilings on the number of warheads and their strategic delivery vehicles remaining after reductions. That would be at variance with the very meaning of an international treaty, which should be based on the principle of equality of the parties and which should conform to its subject matter. Nevertheless, there are other ways to accommodate the aforementioned concerns. For example, in the second half of the 1980s, the Soviet Union was very concerned about the SDI program and American nuclear weapons deployed in Europe. This is why a package solution was proposed—simultaneous negotiations on three issues: medium-range nuclear weapons in Europe, strategic offensive arms, and defense and outer space. 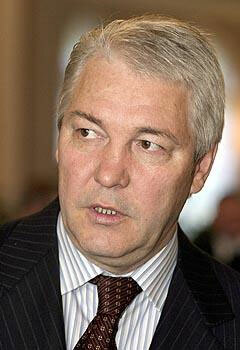 Moscow put forward a condition that the three planned agreements should be signed simultaneously. Washington did not object. However, the Soviet Union did not adhere to this position for long. At first, the term ‘nuclear delivery vehicles’ was used to designate only land-based ballistic and cruise missiles, while aviation was excluded from the negotiations. Later, Moscow removed this category of weapons from the initial package, after which, in December 1987, the parties signed the Intermediate-Range Nuclear Forces Treaty (INF Treaty), which is of unlimited duration. For a much longer time, almost until all provisions of the START I Treaty were agreed, the Soviet Union insisted on a linkage between strategic offensive and defensive weapons, which was reflected in official statements and the structure of the Soviet delegation to the talks. Moscow sent one delegation to the talks on these two types of weapons. Negotiations on defense and outer space were conducted by a separate group within the delegation. The United States was represented by two separate delegations. One worked on START I, and the other held consultations on defense and outer space. When it became clear that the defense and space negotiations would fail and that the START I Treaty was almost ready, the Soviet Union signed the treaty but made a unilateral statement on the need to observe the ABM Treaty as a condition for implementing START I. This experience proves that one real way to accommodate concerns is to conclude separate agreements on the most pressing security problems, including missile defense, precision-guided long-range weapons, and space weapons. The authors of World 2035. Global Forecast, published by the Primakov Institute of World Economy and International Relations in 2017, admit of this possibility but consider it the least likely of the proposed four scenarios for the development of the military-political situation in the world in the period until 2035. Speaking of concrete ways to accommodate concerns, one should assess, at least approximately, the effect of missile defense, precision-guided weapons and space weapons on the Russian-U.S. strategic balance. First of all, let us note an interesting circumstance. When it comes to the effect of various factors on the strategic balance, Russian officials insisting that this effect should be taken into account somehow fail to mention air defense. If we follow this logic, then any weapons capable of combating strategic offensive weapons should be included in the overall balance of power, especially if they are intended to combat retaliatory systems. These weapons definitely include the aviation component of the strategic triad. Without going into further discussion, let us note that this omission of air defense issues seems to be due to some other considerations than a desire to strengthen strategic stability. Of the remaining three categories of weapons, which, in the opinion of the Russian leadership, have an effect on the strategic balance, space weapons are the most interesting from the point of view of concluding a possible agreement. The fact is, there are no such weapons yet, as far as we know. Therefore, they have no effect on the strategic balance. It is worth recalling the Soviet Union’s struggle against the SDI program in the second half of the 1980s. Many experts said then that “space strike weapons” would be created in the foreseeable future. The most skeptical participants in discussions said that such systems would appear in 20 to 25 years at the earliest. 30 years have passed since then, but this type of weapons (space-based lasers, railguns and other exotic weapons) has not come into existence so far. There are no serious reasons, either, to suggest that space weapons will be in the strategic arsenal of the United States or other countries within the next two to three decades, even if new technologies make this possible. In this case, the following factors will come into play: cost, combat effectiveness of weapon systems, their vulnerability, and possible reaction from the domestic opposition, individual countries and the international community as a whole. These factors may not only slow down but prevent the militarization of space. In addition, there are no commonly agreed definitions for such terms as ‘weapons’, which can be the subject of an agreement on space issues. Unfortunately, such an agreement can hardly be based on the draft international Treaty on Prevention of the Placement of Weapons in Outer Space, the Threat or Use of Force against Outer Space Objects, submitted by China and Russia to the Conference on Disarmament in 2008 (and its updated version, submitted in 2014). The draft only proposed preventing the deployment of weapons in outer space and made no mention of prohibiting their development or testing in space. Nor did it mention weapons deployed on Earth but capable of destroying outer space objects. Criticisms of this document can be continued, but the main problem is whether it is possible to reach a verifiable agreement on limiting or banning space weapons, whatever this term might mean, even if all parties show real interest in it. There are more doubts than optimism regarding this possibility. Answering this question requires more than just efforts by diplomats, the military and developers of space weapons. More experts should be involved in these efforts, including scientists from countries that may be parties to future agreements. Another interesting question concerns long-range precision-guided conventional weapons and their effect on the strategic balance. According to the majority of specialists, this type of weapons includes cruise missiles, non-nuclear ICBMs, and some weapon systems (for example, hypersonic gliders). As a rule, the degree of effect such weapons may have on the strategic balance is not assessed. Nevertheless, it is asserted that they can not only weaken but also undermine strategic stability. This is a doubtful statement. If we view these systems from the point of view of strengthening the offensive capability, they are absolutely incommensurable with nuclear weapons in terms of power. Precision-guided weapons are absolutely unsuitable for preemptive strikes for many reasons. Speaking of non-nuclear ICBMs, their accuracy should by far exceed that of nuclear ICBMs. Otherwise, they won’t be able to destroy hard targets (such as missile silos or command centers). According to open source data, modern ICBMs have accuracy (circular error probable – CEP) of several dozen meters, at best. Destroying a hard target with a conventional warhead requires this accuracy of not more than several meters, which is impossible to achieve at the present technological level of these systems. But this is not the main concern. If an aggressor decides to use precision-guided weapons (conventional ICBMs) in a surprise attack to destroy a significant part of the opponent’s nuclear arsenal, it will have to plan a massive attack. Such an attack cannot go unnoticed due to a missile warning system. There is no guarantee that the attacked party will not use nuclear warning systems when it receives information confirming the attack. So, it does not really matter to the victim of such aggression whether the approaching ICBMs carry nuclear or conventional warheads. The response will almost certainly be nuclear, with all the ensuing consequences. Finally, one more important argument is that if Russia or the United States decides to deploy a great number of non-nuclear ICBMs, they will most likely have to do this at the expense of their own strategic nuclear weapons. If the 2010 treaty remains in effect (until 2021) and if it is extended (until 2026), all ICBMs will be counted under the treaty’s limits for strategic delivery vehicles (700 deployed delivery vehicles for each party). In order for non-nuclear ICBMs not to be counted under the treaty, one needs to create a new strategic delivery vehicle and prove that this weapon system is not covered by this treaty. This will be very hard to do, given the strained Russian-American relations. Unilateral actions will most likely lead to the collapse of this international agreement. As regards cruise missiles as an element of precision-guided weapons, one important issue should be clarified above all. Under the New START Treaty of 2010, long-range (over 600 km) nuclear cruise missiles are not counted as strategic offensive arms. In other words, in the opinion of Russia and the United States, they are not strategic weapons. Each heavy bomber carrying nuclear-tipped air-launched cruise missiles is counted as one delivery vehicle and one warhead, no matter how many missiles it may carry. Sea-launched cruise missiles are not covered by this treaty at all. It does not even mention the term ‘long-range nuclear cruise missile.’ Simply put, the parties do not think that these nuclear weapons can undermine the strategic balance; therefore, they see no reason to limit them in the START Treaty. In this case, however, it is completely unclear why long-range nuclear cruise missiles do not affect the strategic balance between the parties, as Moscow and Washington stated in the above-mentioned agreement, whereas similar conventional weapons should undermine strategic stability, especially since some studies show that conventional cruise missiles are not capable of destroying highly protected strategic offensive weapons. It is believed in Russia that the most serious threat to strategic stability comes from missile defense. However, there is much more ambiguity in this issue than evidence confirmed by practice. First of all, many experts and politicians follow a strange logic when talking about missile defense issues, and their logic differs significantly from the normal perception of the security problem. For example, it is claimed that the U.S. missile defense system “threatens” Russia’s strategic potential. But such a threat can be translated into action only after Russia strikes with ballistic missiles. For as long as these missiles are not used, missile defense does not threaten them. Saying that missile defense poses a threat to someone’s nuclear potential is the same as saying that a hard hat worn by a construction worker is a threat to a brick that may fall on his head. Opponents of missile defense argue that it will be used after the enemy delivers a first strike against its opponent’s strategic forces, thus greatly weakening the latter’s retaliatory strike. It is this retaliatory strike that will have to be intercepted by missile defense. This abstract and senseless reasoning underlies the logic of missile defense opponents who denounce any programs for creating and deploying missile defense. They view such efforts as an attempt to achieve military superiority and create conditions for victory in a nuclear war. In fact, the entire concept of strategic stability is based on the assessment of the consequences of a first strike and the aggressor’s ability to repulse a retaliatory strike. Debates over the effect of missile defense on strategic stability have been going on for sixty years, so there is no need to cite here all arguments for and against, set forth in numerous publications. Let us only note that these debates were largely held in the U.S. In the Soviet Union and Russia, an overwhelming majority of experts shared the view that the development of missile defense systems undermines strategic stability, increasing the probability of a first strike in crisis situations and spurring a race in strategic arms in all areas. As a rule, the debates focused on the assessment of effectiveness of missile defense systems and time required for the deployment of new weapon systems. Now let’s see how the United States can repulse Russia’s “retaliatory strike” after its own “large-scale nuclear attack,” if such plans really exist. First of all, let’s take a look at the geography of U.S. missile defense systems. If the main task of the U.S. were to defend against a Russian retaliatory strike, it would deploy its missile defense system primarily along its borders and deep in its heartland. A thin defense of the country would require at least 10 to 12 deployment areas with several dozen interceptor missiles in each. As far as is known, nothing like this is happening. Such a program does not exist, and such proposals have never been submitted. By the end of 2017, 44 Ground-Based Interceptors (GBI) are to be deployed in U.S. territory (40 in Alaska and 4 in California). By 2025, the number of GBIs is planned to be increased to 56. It should be recalled here that the most important provision of the 1972 ABM Treaty (from which the U.S. withdrew in 2002) was the limitation of interceptor missiles capable of shooting down incoming ICBM warheads. Each party was permitted to have up to 200 ABM systems in two ABM deployment areas. The Protocol of 1974 to the Treaty limited the number of ABM systems to 100 at each ABM site. In other words, the U.S. has not yet exceeded the limit set by the ABM Treaty and will not do so in the foreseeable future, which means that strategic stability, as understood by missile defense opponents, is not undermined. Russia is greatly concerned over the proposed missile defense system for Europe and keeps an eye on programs for deploying similar systems in the Middle East and some Asian countries. But all these systems are not strategic in terms of location and performance. Of course, some modifications of the U.S. Standard interceptor missiles, THAAD and some other systems have a certain potential to combat strategic ballistic missiles. But they are not intended to perform such tasks and can shoot down ICBM warheads only accidentally. It is also important that the above BMD systems have never been tested against strategic missiles (warheads); so they cannot be relied on for intercepting retaliatory strikes with strategic ballistic missiles. In addition, these systems pose no threat to Russia’s strategic potential due to the geography of their deployment. This will be clear if we move from a two-dimensional to a three-dimensional vision of this geography. Simply put, we should be looking not at the flat map of the world, but at the globe. Then many things will look differently. For example, we will see that the shortest way from Russia to America is not via Amsterdam or Paris, but across the North Pole. To my view, there are no serious military-strategic obstacles to further dialogue between Russia and the United States on more reductions in strategic offensive arms. The effect of precision-guided and space weapons on the strategic balance between the parties is clearly exaggerated. In the foreseeable future, their effect will continue to be minimal, if at all. U.S. missile defense programs are limited in terms of their impact on Russia’s ability to deliver a crushing retaliatory strike, even if weakened by a U.S. first strategic strike. The latter, too, is a very dubious strategic concept, which, nevertheless, underlies many discussions about ways to strengthen security and so-called strategic stability. No sane leader of a country would rely on an unreliable missile defense system, which has failed many tests and which can be bypassed by changing the direction of attack. 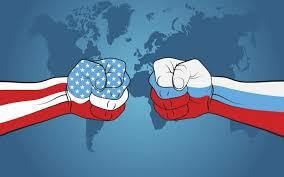 As for political obstacles to new negotiations, they have piled up both in Russian-American and Russia-West relations. They are difficult to overcome, and this will most certainly take much time and effort. There is a view that negotiations on deeper reductions in strategic offensive arms are possible only after relations between the two countries more or less improve or, at least, show a clear tendency towards improvement. But this problem can be approached from a different perspective by setting the goal of concluding a new agreement on deeper reductions in strategic offensive arms and limiting the number of strategic warheads to 1,000 for each party. If concluded, the new agreement could serve as a positive example of cooperation and give a chance to reach mutual understanding in other areas. This will be facilitated by the beginning of broad consultations on the whole range of security problems, including those that evoke Russia’s concern. In July 2018 in Helsinki Putin and Trump agreed to pay special attention to the problem of extension of a New START Treaty for the following 5 years (until the year of 2016), as well as to preserving the INF Treaty which became a subject of serious criticism during the last 3-4 years. It is obviously a positive step into a right direction. But it is not enough. Both states have quite a big potential for further reductions of their nuclear arsenals – strategic and tactical as well even without the participation of the third nuclear states in this process. This possible participation needs serious investigation and special attention of all the interested parties.